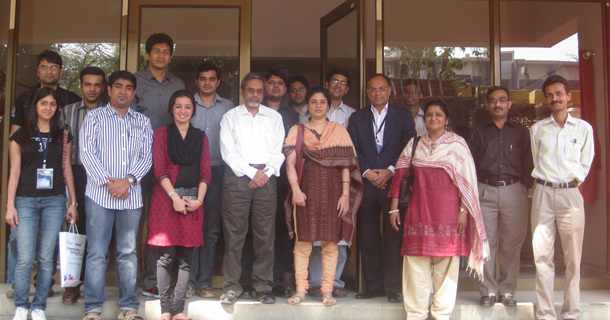 The School founder interacted with students and faculty at Seminar room post his talk at E-Summit 2011. He appreciated the progress school has been making & conveyed that he is glad to know that students are getting an wholesome experience at School. He expressed optimism about about future prospects of School to become one of the best known MBA program across the globe. Also shared his fond memories of his Post Graduation days at Case Western University.